Windows Mobile 7 is about as far from being about to hit the shelves as it gets, but there are a bunch of leaked shots out there that let us take a sneak peek at what is to be expected. And who comes in first trying to let us experience the upcoming edition on our current devices? Non other but the team at xda-developers, who has been hard at work on their “WM7 Titanium Project.” They are busy trying to provide us customers with a WM7 experience on their 6.5 units. The skin can be installed on WVGA devices running a cooked-up version of WM 6.5 and we are happy to report that they seem to be cooking with gas too. The team has put out some excellent skins, despite the fact that there is no any particular, "final" look when it comes to the upcoming OS itself. This hardly matters though, since the skin looks pretty good alongside of what you get by default, provided by Microsoft. They should make WM open-source, lol! 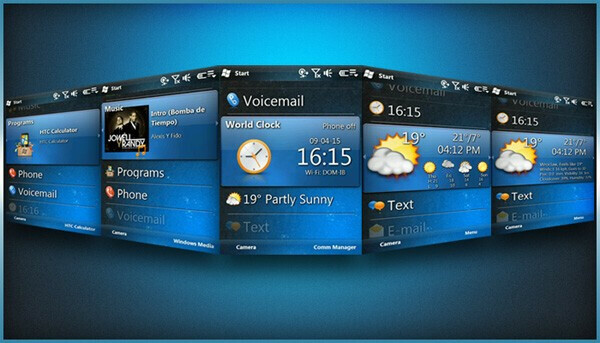 Let me ask you this guys, What is the security risks of running those modified or enhanced UI skins? Do you think a programmer can put some malicious code to monitor your smartphone? There is always a possibility that someone somewhere as has added a malicious code to something and it in turn will ruin your computer/device. However, knowing that this is coming from xda, I'd be willing to trust my $500 phone with them. They're nice folks and I haven't seen any reports of anyone saying whatever was on the site has ruined their cell phone or their computer for that matter. That is ridiculous, the guys at xda are strictly concerned only for the most advanced mobile capabilities on the planet. To plan and create this stuff takes hours upon hours. And windows mobile is open source. But only for developers. I am member and and amateur creator and I'm affended. The ui's and programs that manufacturers use on windows mobile today all came from us. Are you "affended" or "offended"? Windows Mobile is not open source. To say they are open source 'but only to developers' is the most retarded thing I have ever heard. Thats like saying "My house is open to anyone, but only my family can come inside. I have an open house."